The Case is Far from Closed for Vitamin and Mineral Supplements! In their recent editorial in the journal Annals of Internal Medicine, "Enough Is Enough: Stop Wasting Money on Vitamin and Mineral Supplements," the authors conclude that "we believe that the case is closed—supplementing the diet of well-nourished adults with (most) mineral or vitamin supplements has no clear benefit and might even be harmful" (1). It appears that the authors themselves weren’t quite convinced of their conclusions by adding numerous qualifiers, such as "we believe" and "well-nourished adults," and putting "most" in parentheses. While a well-balanced diet is the best way to get all of one's essential nutrients, the reality is that Americans don't get enough of them through diet alone. From the National Health and Nutrition Examination Survey (NHANES) we know that the large majority of the US population is not "well-nourished" and falls short of getting all of their vitamins and minerals from their diet in levels recommended by the Institute of Medicine's Food and Nutrition Board (2). For example, more than 93% of US adults 19 years and older do not meet dietary intake recommendations (called Estimated Average Requirement, or EAR) of vitamins D and E, 61% for magnesium, about 50% for vitamin A and calcium, and 43% for vitamin C (2). Other studies have shown that people who take a daily multivitamin/mineral (MVM) supplement with the recommended doses of most vitamins and minerals can fill most of these nutritional gaps safely and at very low cost (3, 4) – a year's supply of a high-quality MVM can be purchased for less than a nickel a day. In contrast, only a very small, non-significant fraction (0.1%) of US adults exceeds the Tolerable Upper Intake Level (UL) from diet and supplements combined for vitamin E (2), putting Guallar et al. 's claim that "vitamin E … supplements increase mortality" in perspective. Contrary to the impression that the authors give in their editorial (1), the US population is inadequate in many vitamins and minerals, a result of the energy-dense and nutrient-poor dietary pattern of Western populations, rather than over-consuming MVM and other dietary supplements. The known biological functions of vitamins and nutritionally-essential minerals are to maintain normal cell function, metabolism, growth and development, through their roles as essential cofactors in hundreds of enzyme reactions and other biological processes (5) – not to prevent or treat chronic disease. Nevertheless, the largest and longest randomized controlled trial (RCT) of MVM supplements conducted to date, the Physicians' Health Study II (PHS II), found a significant 8% reduction in total and epithelial cell cancer incidence in male physicians, and a 12% reduction in total cancer incidence excluding prostate cancer (6). The PHS II also found a significant 9% reduction in the incidence of total cataract (7). These findings of PHS II are consistent with those of several other RCTs (8, 9) and are even more impressive given the fact that the conventional RCT design is strongly biased against showing benefits of essential nutrients, in contrast to pharmaceutical drugs (10). 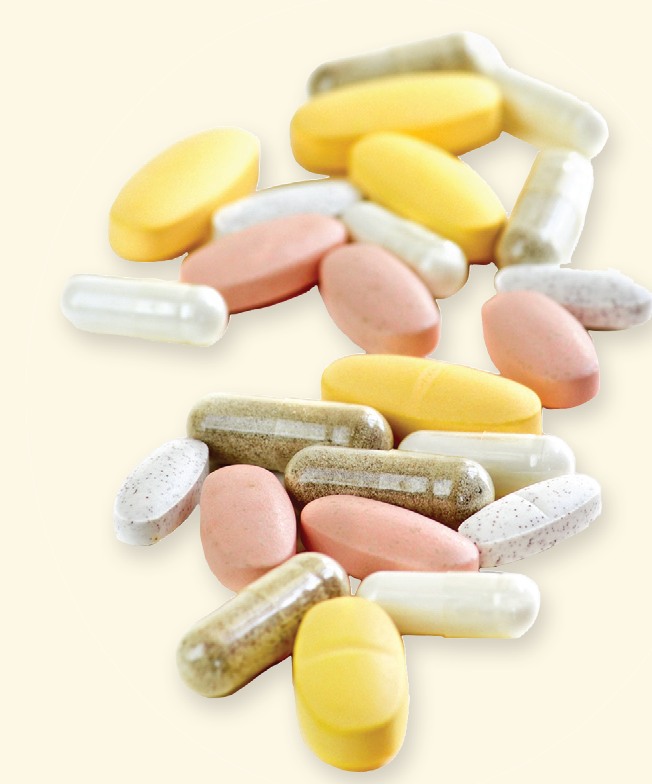 Therefore, taking a daily MVM supplement will not only help fill the known nutritional gaps in the average American diet, thereby assuring normal biological function and metabolism and supporting good health, but may also have the added benefit of reducing cancer and cataract risk – which no existing pharmaceutical drug can do. To call "the case … closed" and label MVM supplements as useless, harmful or wasteful is highly premature and unscientific, and does not serve public health. 1. Guallar E, Stranges S, Mulrow C, Appel LJ, Miller ER III. Enough is enough: Stop wasting money on vitamin and mineral supplements. Arch Intern Med 2013;159:850-1. 3. Sebastian RS, Cleveland LE, Goldman JD, Moshfegh AJ. Older adults who use vitamin/mineral supplements differ from nonusers in nutrient intake adequacy and dietary attitudes. J Am Diet Assoc 2007;107:1322-32. 4. Shakur YA, Tarasuk V, Corey P, O'Connor DL. A comparison of micronutrient inadequacy and risk of high micronutrient intakes among vitamin and mineral supplement users and nonusers in Canada. J Nutr 2012;142:534-40. 5. Stipanuk MH, Caudill, MA (eds) Biochemical, Physiological, and Molecular Aspects of Human Nutrition, 3rd Edition 2013; Elsevier Saunders, St. Louis, MI. 6. Gaziano JM, Sesso HD, Christen WG, Bubes V, Smith JP, MacFadyen J, Schvartz M, Manson JE, Glynn RJ, Buring JE. Multivitamins in the prevention of cancer in men. The Physicians' Health Study II Randomized Controlled Trial. JAMA 2012;308:1871-80. 7. Christen WG, Glynn RJ, Manson JE, MacFadyen J, Bubes V, Schvartz M, Buring JE, Sesso HD, Gaziano JM. A multivitamin supplement and cataract and age-related macular degeneration in a randomized trial of male physicians. Ophthalmology 2013 Nov 20. pii: S0161-6420(13)00883-X. doi: 10.1016/j.ophtha.2013.09.038. 8. Maraini G, Sperduto RD, Ferris F, Clemons TE, Rosmini F, Ferrigno L. A randomized, double-masked, placebo-controlled clinical trial of multivitamin supplementation for age-related lens opacities. Clinical trial of nutritional supplements and age-related cataract report no. 3. Ophthalmology 2008;115:599-607. 9. Hercberg S, Galan P, Preziosi P, Bertrais S, Mennen L, Malvy D, Roussel AM, Favier A, Briancon S. The SU.VI.MAX Study: a randomized, placebo-controlled trial of the health effects of antioxidant vitamins and minerals. Arch Intern Med 2004;164:2335-42. 10. Heaney RP. Nutrients, endpoints, and the problem of proof. J Nutr 2008;138:1591-5.